Shapes make up the majority of your layers in any given design. 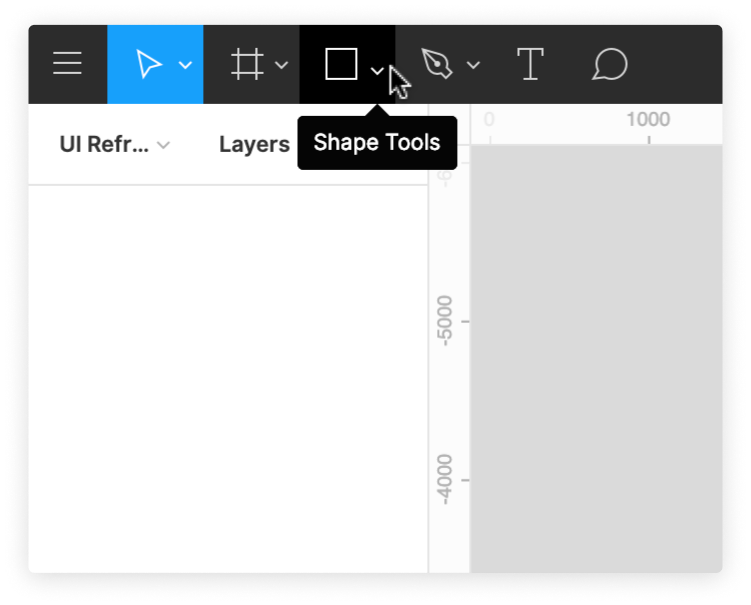 You can access all of the Basic Shapes from the Shape Tools menu in the Toolbar. Click the down arrow next to the Rectangle to view your options. For designs that require unique or complex shapes, you can build your own Vector Networks using Figma's one-of-a-kind Pen tool. Hold down the [Shift] key while dragging to create perfect squares, circles and polygons. 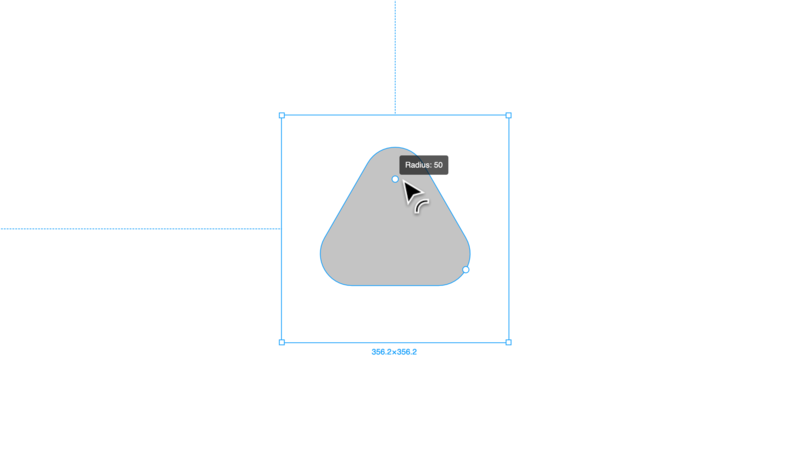 Hold down the [Option] key to create and resize the shape from their center. Hold down [Shift] and [Option] to do both! 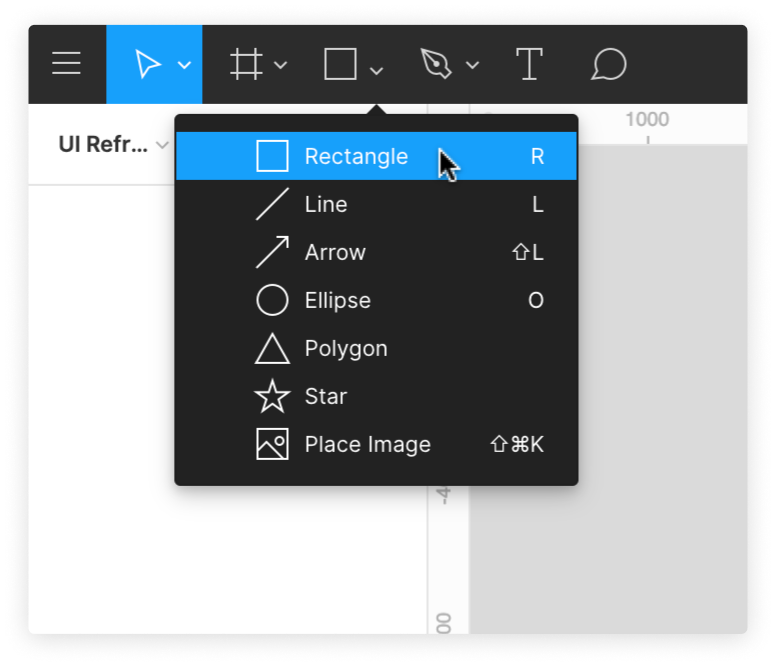 You can use the Rectangle Tool to create both Rectangles and Squares. There will be a handle in each corner of the shape, this allows you to resize the shape as you see fit. 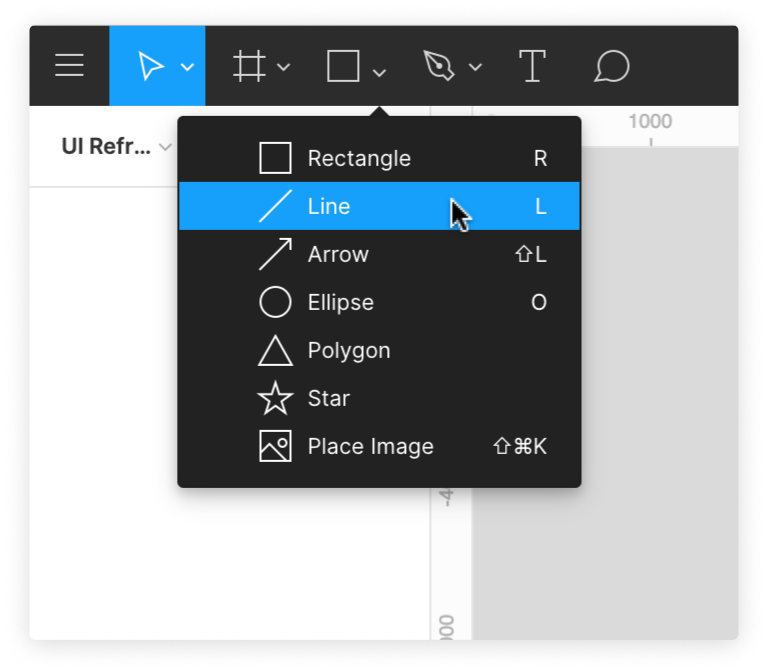 The Line tool allows you to create lines in any direction. Lines are an effective way of breaking up content within a design, or simulating CSS borders. Adjust the Stoke Color and Opacity using the Color Picker. Update the Weight to change the thickness of the Line, as well as choose where to Align the weight of the Line. This can be applied to the Inner, Outer or Centre of the Line. The Advanced Stroke options allow you to customise the line further; including determining the Cap (how each end of the line looks) and Join (how the line behaves when connected to other lines), as well as using the Dashes setting to create a dashed line. The Arrow Tool allows you to draw both one-sided and two-sided arrows. Click on a spot in the canvas and drag to create the Arrow. You can move the cursor around on the canvas to change the direction. Like the Line Tool (above), you can make adjustments to the Stroke properties. You can use the Ellipse tool to draw Ovals and Circles. These can be used as they are, or manipulated to create custom shapes with curves. There will be a blue bounding box around the Ellipse, with a handle in each corner. 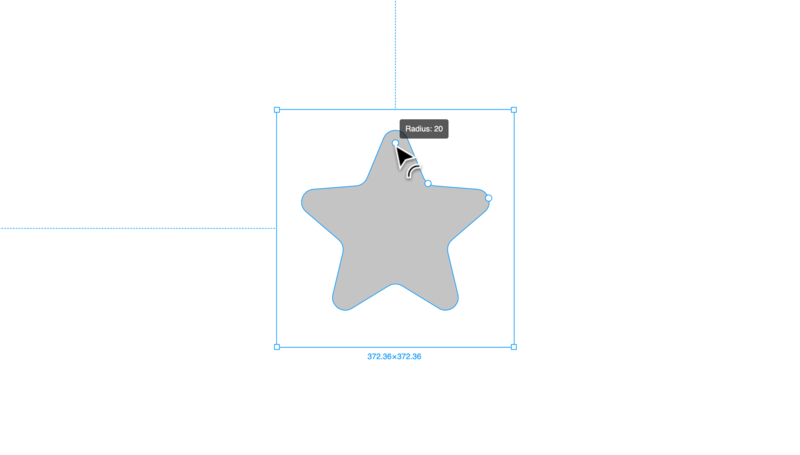 This allows you to resize the shape as you see fit. 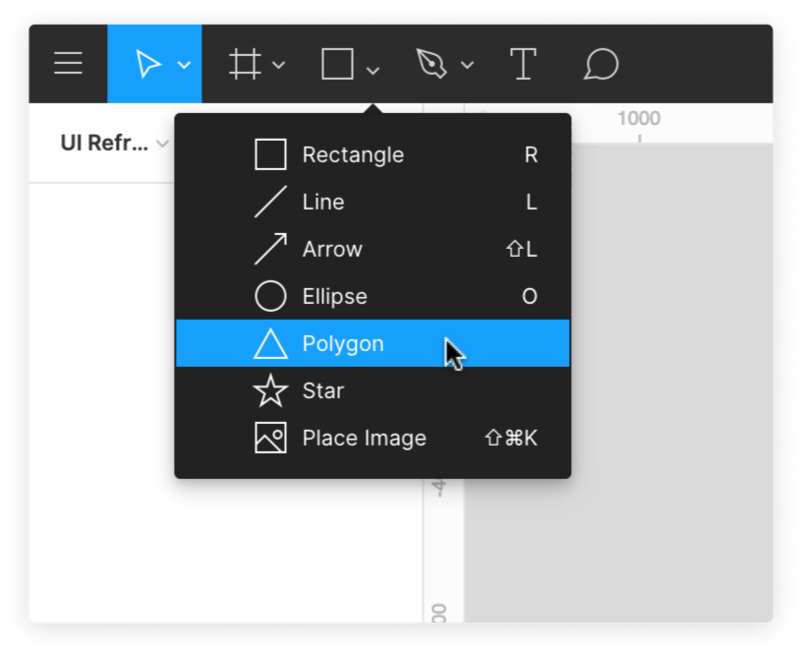 The Polygon Tool allows you to draw an enclosed shape that is made up of any number of straight lines. The default shape for the Polygon tool is a Triangle, but you can add additional points to the object to create your own custom Polygons. 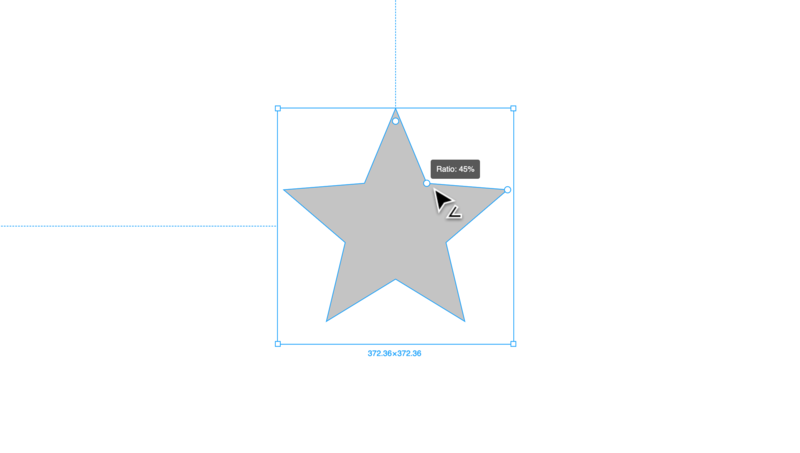 Click on a spot in the canvas and drag to create the Polygon. The shape's dimensions will be shown in blue underneath the object. There will be a blue bounding box around the shape, with a handle in each corner. This allows you to resize the shape as you see fit. Click and drag the handle towards the center of the object to round the corners. You may have noticed that when we drew our Polygon, in this case a Triangle, the blue bounding box around the shape extends well below the bottom of the shape. This allows the bounding box to remain a consistent shape or size, when additional points are added to the Polygon. To snap the bounding box to the shape's true boundary, you can Flatten the shape. You can access this by right-clicking on the shape and choosing Flatten, or by using the [Command] + [E] keyboard shortcut. The Star Tool creates Polygons that are arranged in a Star shape. 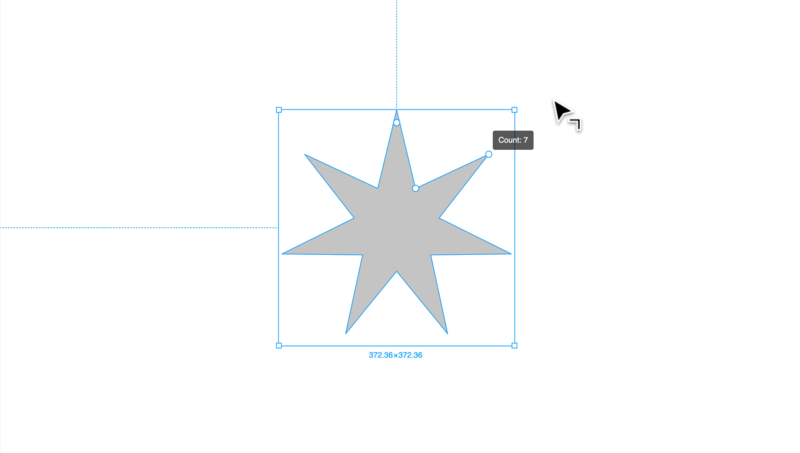 When you create a Star, the default will be a 5 pointed star with 10 sides. The Ratio determines the distance of the inner points of the Star, from the center. This is shown as a percentage of the Star's overall diameter. 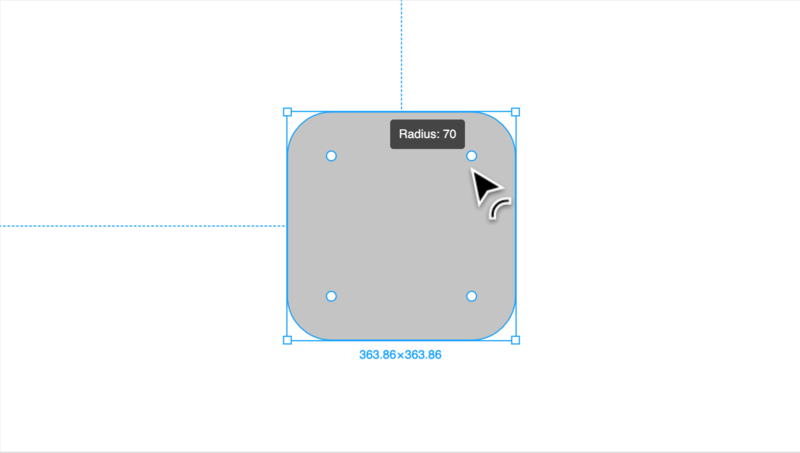 The Radius allows you to round the point, similarly to how Corner Radius works on a Rectangle. Tip! When you enter Vector Edit Mode you can adjust the Radius of each point individually. In addition to the regular handles, Rectangles also have four circle handles on the inside of every corner. These handles allow you to adjust the Corner Radius to round the corners of the Rectangle. Hover over the handle in the corner, until the Radius is shown. This will be set to 0 as a default. Hover over the Corner Radius icon until the arrow appears, then use your mouse/trackpad to increase or decrease the radius - we call this Scrubbing). Click in the corner field and enter the desired amount. To adjust each corner independently, click the Independent Corners icon to the right of the field. You will then be given a field for each corner, to adjust individually ( L-R: Top Left, Top Right, Bottom Right, Bottom Left). Tip! When this mode is engaged, you can also use the handles on the shape to adjust the corners individually. Draw or select the line you'd like to make dashed. You can specify both the length the Dashes, as well as the distance between them (Gap). Enter this in the Dashes field in the following format: Dash, Gap; e.g. to create a dash with a length of 5 px and a gap of 2px, you would enter 5,2. Select the arrow in the canvas. Double-click on the arrow to enter Vector Edit Mode. Select the point at the other end of the Arrow. 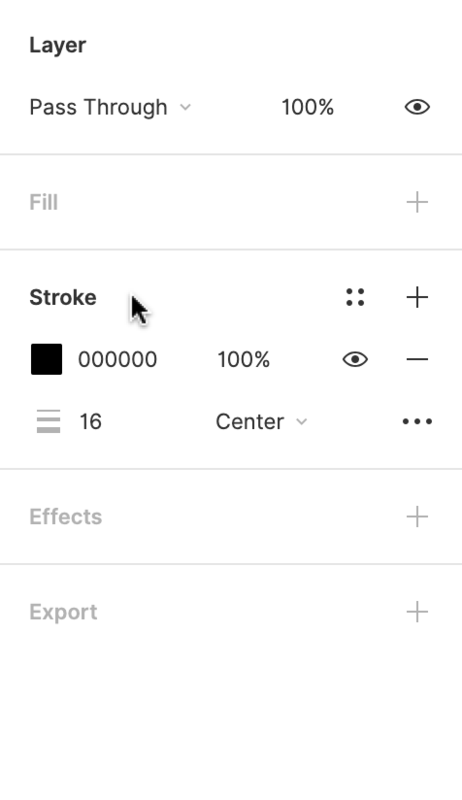 In the Advanced Stroke option, select the type of Arrow you'd like to use, in the Cap field. Hold down the [Shift] key while you click and drag, to create a perfect Circle. Double-click inside the shape to enter Vector Edit Mode. Select one of the four main points, then Delete on your keyboard. To close the semi-circle, click the [P] key to select the Pen Tool. Click on each open point in the Semi Circle to close the shape. Learn more in Editing Shapes and Objects. Learn more in our Using the Arc Tool article.